I want a central thread to post updates and public pieces to show activity of the mod, and the best way is a "look at my new things" thread. 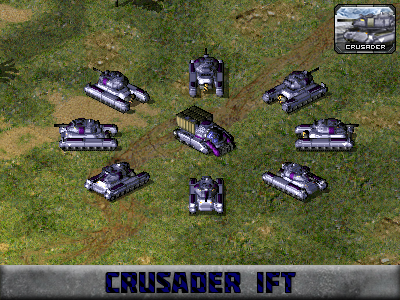 The Crusader IFT, or Infantry Fighting Tank, is a merging of concepts between the Grizzly Tank and IFV. 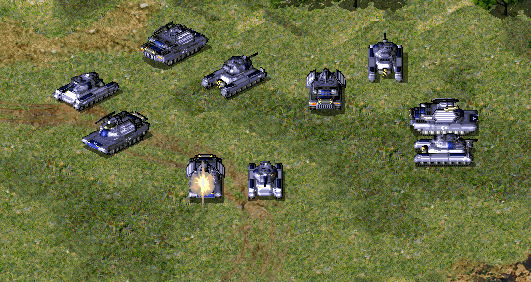 After the war against the Soviets, and the eventual occupation of the Eastern nations lead to the need for the aging Grizzly Tanks to be replaced. Many designs of each nation were given fair opportunity, but most were rejected for one reason or another. A design submitted keeping in the mobility and speed of the original Grizzly using a similar chassis while utilizing the technology behind the IFV to create a multifunctional main battle tank. Dubbed the "Crusader" as it was used heavily to patrol and take control of more hostile areas of the old Soviet Empire, the new addition to the Allied armory has been well received by both foot soldiers and pilots alike, giving the newly formed Allied Coalition a strong and versatile weapon in various combat situations. Been working on things lately, since I've had the urges to create and relieve stress. MCVs are getting restored amphibious capabilities, something I had implemented in previous versions of the mod. I'm aware there are black dots, they will be fixed. I'm also aware the cameo is awful, I'll have to take another shot at it. For now, it's forward progress. 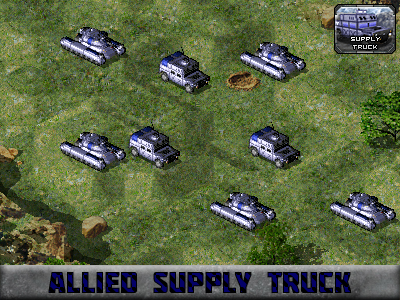 Allied Supply Trucks are only available in Team Alliance game modes. They deploy into self-destructing buildings, leaving crates. Useful for transferring money to allies, but they lack weapons, armor, and speed so they should be watched carefully. Being destroyed leaves no reward behind. 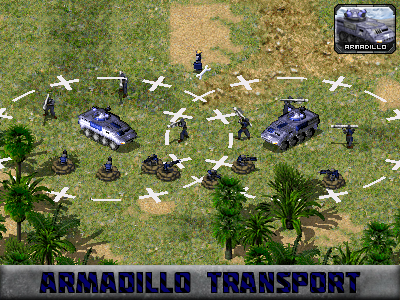 Allied Armadillo APCs are light armor transports designed to support infantry columns and move slower infantry across dangerous terrain. Capable of letting 5 troops hop along for the ride, the fire ports in the troop carrier area allow for the occupants to repel threats. The Armadillo does not have an offensive weapon, but is instead equipped with a specialized generation field capable of healing all allied infantry within two cells of it. 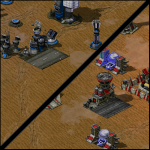 The healing rate is slower, but it allows infantry divisions not inside to help protect it. They are built from the War Factory, at a cost of 650 credits. 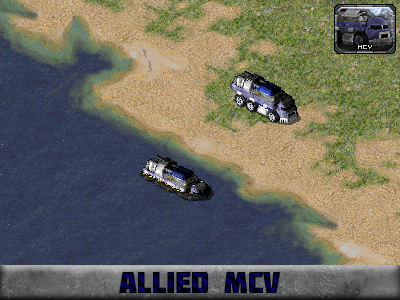 My only problem is how the Amphibious MCV just looks like it got cut in half though. great cameos! how can i make like that? MCVs are the heaviest of vehicles on the battlefield, they sink more in comparison to other vehicles. After all, instead of packing a light cannon they're carrying the materials to lay out into a 5x5 Construction Yard. @deathreaperz: I have a master cameo template that OmegaBolt made for me years ago. And Starkku provided me with the backgrounds that I'm using. These cameos aren't even that great in comparison to some of the stuff Bolt did that I'm not using anymore. But still, nice effect there. And where did you get cameo backgrounds? 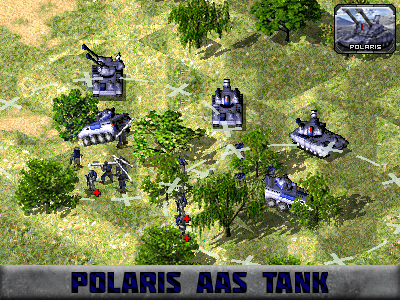 The Polaris Anti-Air Support Tank is a new weapon devised by European Coalition scientist to fill the need of a tank capable of knocking out powerful Kirov Airships and MiG Fighters, as well as any other threat. The Polaris is equipped with a primary Target Painter weapon, a powerful imaging tool that finds exposures and weaknesses in enemy armor and exploits it, causing weapon damage to be increased. The secondary weapon are a twin-linked set of laser rifles, capable of punching though air armor and dealing significant damage. 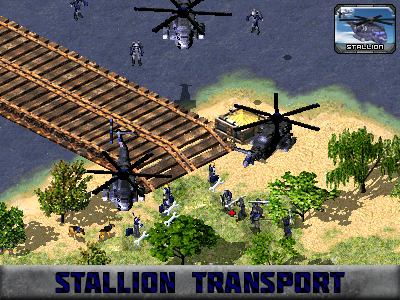 The Stallion Heavy Air Transport is a replacement for the old Nighthawk Transports used in previous wars. Ditching a small and often ineffective cannon, the Stallion prefers to carry more troops (up to 8 total troops) and be more armored. Stallion Heavy Air Transports are available later in the tech tree, but more than make up for their upgrades. Credit to Orac for the Stallion Transport. 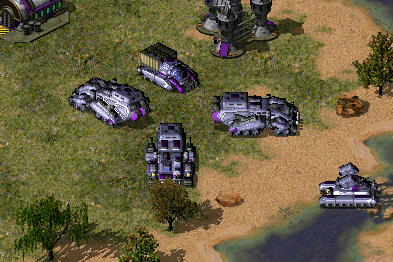 The Polaris shots are terrible, I can't see the unit (also IMO it glows too much). I would do a 360 shot on a map with neutral lighting. Nice to see updates on this though. I'm working on a more 'modernized' version of the Mirage Tank, but I'm terrible at voxelling and I'm not sure what to do to improve the panels. Any ideas? Feedback? EDIT: Ignore the golden barrel. 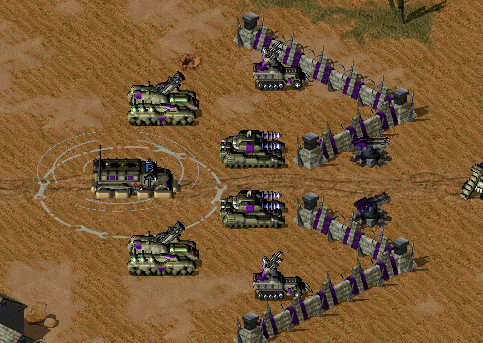 Apparently there exists such a thing as rtnkbarl.vxl in the vanilla files. Aside from some normals issues on the panels (that I plan to resolve) I think we're getting exactly where we want to be. The normalizing of the panels looks nice on the diagonal directions though. It feels weird not having any noticeable gun on it, but the turret is starting to look pretty fantastic. Ignore the golden barrel. 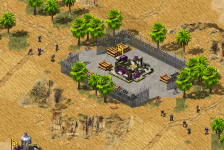 Apparently there exists such a thing as rtnkbarl.vxl in the vanilla files. 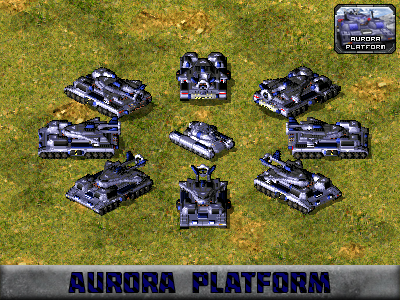 European Coalition Aurora Platforms are the newest way to destroy entrenched fortifications. Utilizing a hypersonic jet capable of delivering it's payload before being shot down, the Platform can strike targets from far away. The Aurora jet itself uses a specialized armor system that can deflect incoming damage, greatly increasing it's capabilities to get in and out of tough situations while still also dealing great damage. The Platform itself is lightly armored, and slower than most vehicles in the arsenal so it should be adequately protected from enemy forces. Credit to bu7loos for the Aurora Platform voxel. Good tweak of Bu7loos's carrier there. The Battle Fortress has seen changes since the last war. 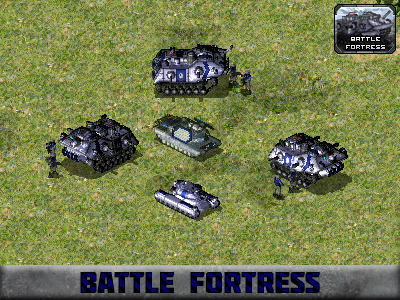 Giving itself a larger physical frame, the Fortress was given a better composition armor which allows for it to take an increased amount of damage. It is equipped with a small artillery cannon, which upon warhead impact hampers the effectiveness of enemy weapons. The artillery itself has a slow rate of fire, and a large minimum range, so passengers are going to have to help protect this durable vehicle. Due to this new weapon system, the Battle Fortress has lost a passenger slot. And improvements to operator training will stop Battle Fortresses from driving head-first into impossible combat situations. The Fortress remains accessible with the construction of a Battle Lab, and keeps it's original price tag. Credit to Longwall for the Battle Fortress. 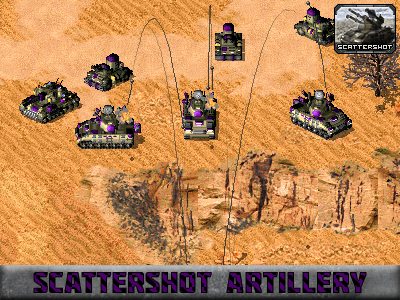 The Remnant Legion Scattershot Artillery is a relatively new addition to the arsenal, never having been documented to exist before the fall of Yuri's empire. 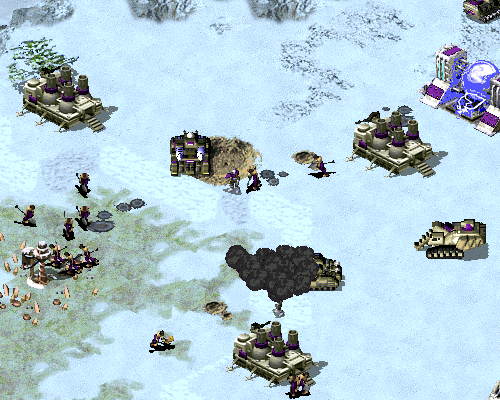 Field reports from lone survivors indicate that this siege unit fires two sets of weapons, each with their own purpose. Ammo fired from the Scattershot at infantry seems to be loaded with a short-lived poison cloud, a deadly toxin that results in a horrific, painful explosive death. It has also been seen firing specialized canisters of this sludge-like material, which finds it's way into armored vehicles' suspension systems and hampers speed, preventing aggressive pursuits or defensive retreats. Credits to bu7loos for the Scattershot chassis and turret. Watch the new main menu video here! I'm not dead yet, just been working towards an internal release for beta testing. Credits to lefthand for mod logo, and to respective artists for their artwork. European Coalition "Puma" Infantry Fighting Vehicles replace traditional American Bradley-influenced chassis for a more compact armored car design, saving precious resources to be utilized in developments of more vehicles. 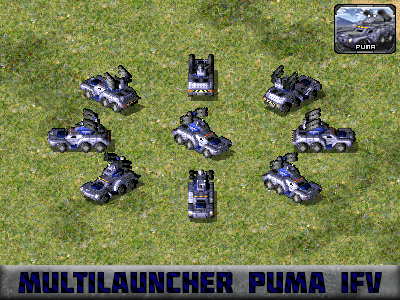 Advancements in "Multigunner" technology have allowed for the Puma IFV's weapon system to be significantly smaller and more compact than older designs. Puma IFVs come issued with standard anti-air/anti-ground rockets capable of hitting a wide range of targets, but not being noticeably more effective in any specific area. 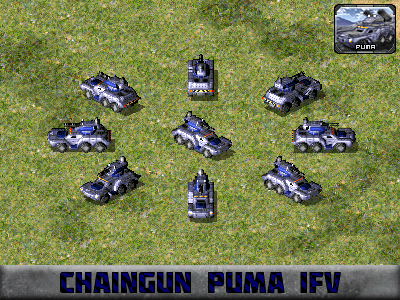 Puma IFVs have lighter armor but a fair amount of health, and can be constructed from the War Factory with no other extra prerequisites. Commanders will find Puma IFVs slightly faster than traditional armor and infantry groups, and costs $700 to build. When any basic infantry jumps inside the Puma IFV, a Vulcan Chain-gun is utilized to mow down infantry effectively. Vulcan Chain-guns can't effectively damage armor or air targets, but can be used in a pinch against light structures due to the rapid fire nature of the heavy rounds. When engineer infantry (and EC Medics) enter the Puma IFV, a repair arm capable of close-range repairs is used. Puma IFVs geared out for repair purposes can keep friendly forces in fighting shape, and also remove the Terror Drones rarely used but still in action from Eastern Empire armies. 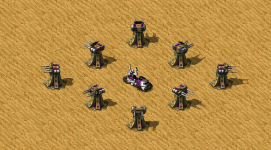 When non-basic, non-engineer infantry enter the Puma IFV, a heavy "Multimissile" launcher system is used instead, increasing both the damage and range of the standard missile launcher weapon against air and ground armors. Credits to Azri_Apoc for the Puma IFV chassis and turret design, Orac for the turret variants used. Somehow back from the dead, it's not much to show but here's a teaser. 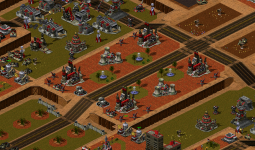 Finally, this mod have re-emerged from the dead, anyway nice voxels, they really match red-resurrection vehicles in quality and style. 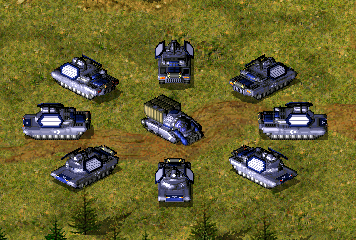 It's about high time I get the Eastern Empire completed, and I'll start off by showing off the new Guntrak Transport, the Warmaster Tesla MBT, the Fallout Artillery Platform, and the (deployed) Mobile Armory. 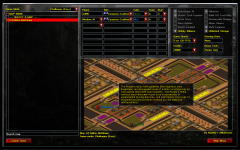 Also featured in a second, new screenshot is the Soviet Slave Miner, an expensive yet efficient mining operation that replaces the Industrial Plant for the Eastern Coalition. Some feedback, tips, or suggestions for my mod logo? Early WIP, but I feel like I'm moving in the right direction. Not bad, I think a bit dark though. Particularly the text could be more visible in a way, with sharper bevel and perhaps some gradient to give it a bit of shine or something. The background though could probably also be a brighter or have more variance between the background shape and the gear. 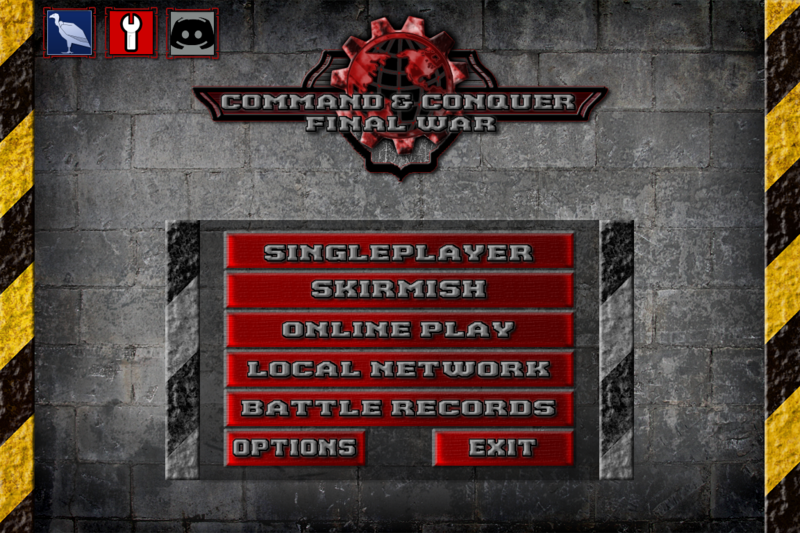 Sorry for the large post, but here is a current work-in-progress version of the main menu that will be used in the CnC.Net v5 launcher. I'd like to thank the CnCNet team for developing such a wonderful launcher and leaving it available to the public to adapt for what they need. Includes a few important buttons up top, like Ares, ModDB, and the coming Soon (tm) Discord channel. 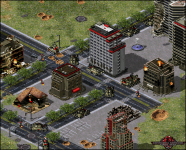 It's 2018, and it's been quite a while since I've posted to PPM to share progress on CnC: Final War. 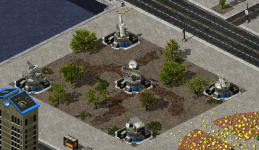 So without further ado, let's show off some new content going into the mod currently! All pictures are links to their respective ModDB pages, where you can find out more about the project! 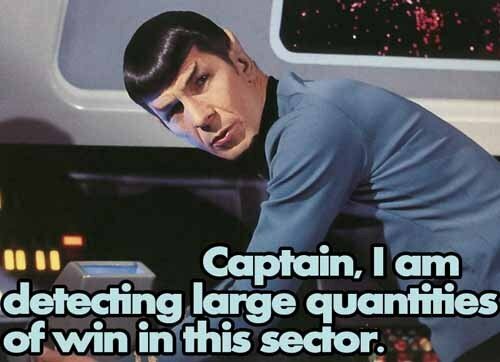 Navies will be re-implemented in a game mode in the future. Join me at my small yet wonderful Discord channel and follow me at my ModDB page. Until next time! The links to the images are broken. Odd. I can see them just fine. I get https://ppmforums.com/"http://www.moddb.com/mods/cncfinalwar/images/deadmans-workload" when I click on the thumbnail. No idea why that happened, they were working fine in Preview mode. I'll get that fixed immediately, thanks for the heads up! Links fixed here and in the PPM News. Do not use "" on urls and links should start with http:// or https://. I've had the same problem when I was posting via a proxy BTW. It's been a quiet few weeks since the last update, so I thought I'd gather some attention towards the project with a small visual update about the project and what I've been up to in the last few weeks. The overall goal of 2019 is the telling of the Final War story, as well as continuing to refine the factions and polish the gameplay. This first update is aimed at slowly removing all the traces of Yuri tech from the Remnant Legion, with the Overloader being replaced with the Shroud Turret as seen on the left and the Initiate/Adept combo being replaced with the Disciple/Acolyte pairing of basic rifle infantry and an anti-air/anti-armor disc thrower. The side-specific sub factions for European Coalition and Eastern Empire have been given their own status as full sides, while the current shared Contracts will remain in the faction and will be complimented with a third one. This means players will have access to a total of 7 factions, each with three Contracts offering a wide range of gameplay possibilities. There is more coming in the future, but for now I'll leave off with this tasty teaser. I hope everyone is enjoying their 2019, and I'll see you all again with more news from the Final War.